Provide comfort for the family of Richard Pehlman with a meaningful gesture of sympathy. To send flowers in memory of Richard A Pehlman, please visit our Heartfelt Sympathies Store. 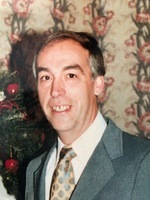 Provide comfort for the family of Richard A Pehlman by sending flowers. We miss you. Thank you for taking such great care of us. We love you. Your puppies, Buddie, Tasco and Holly.